If you didn’t already know, one of the main provider of parts for Apple’s tablets and other products is Samsung, their biggest rival in the world. Unfortunately for Apple, Samsung is really good at manufacturing parts. This gives them no choice but to partner up and do business together. While this proves that business is business and it doesn’t matter how much competitive the two companies are on the mobile market, it seems Apple is looking for a way out of this arrangement. Apple seems to have negotiated a manufacturing partnership with Taiwan Semiconductor. They are expecting the partnership to start up next year, until then Samsung remaining the number one provider for Apple’s products. 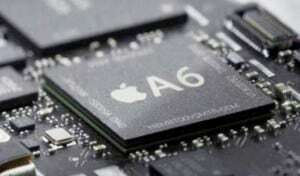 A report by the Wall Street Journal says that Apple and TSMC are negotiating since 2010. However the Taiwanese manufacturer has not yet rose to the quality level that Apple’s products embrace. This means that Apple will still release ‘iProducts’ with parts from Samsung and if next year TSMC proves worthy, they will take over the contract. Apple tried to to give up Samsung parts in the past, but it just ended up coming back to the South Korean manufacturer as no other company could provide the same quality products as Samsung did.